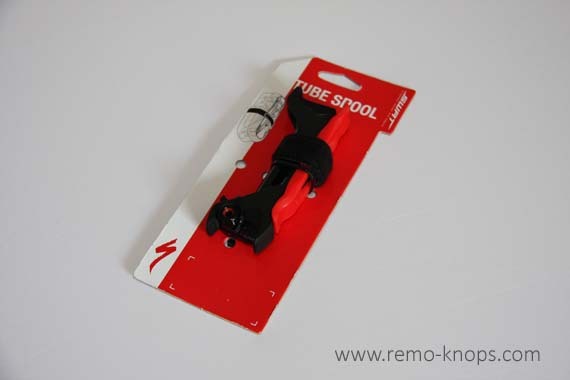 The Tube Spool from Specialized is a helpful accessory for cyclist who don’t like a saddle bag or for cyclist who keep their “rain-bag” organized. The Specialized Tube Spool is basically a clever holder for a 16 grams CO2 cartridge, a CO2 valve head, a Specialized SWAT tire lever and a spare road inner tube with a valve length of up to 80mm. The Specialized Tube Spool Flat Repair Kit is a clever designed hard plastic holder for must-have repair essentials when you hit the road. All items are clicked onto or wrapped around the Specialized Tube Spool and kept together with a velcro closure. You have a compact repair kit with roughly the size of a spare inner tube, that easily fits in the back-pocket of a cycling jersey. The Specialized SWAT tire lever is clicked on top of the Specialized Tube Spool, while 16 grams CO2 cartridge can be click into the bottom of the holder. 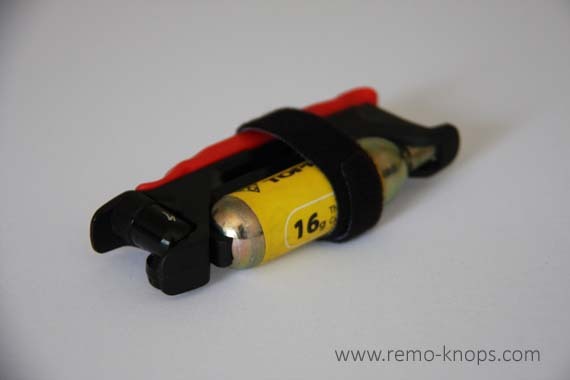 The threaded part of the CO2 cartridge must be inserted first, while a plastic click-finger keeps the cartridge in place. A 12 grams CO2 cartridge doesn’t fit, so that could be a minor point of consideration. The CO2 valve head can be inserted side-ways on the back of the Tube Spool. I’ve inserted a spare inner tube with a valve of 42 mm. and a spare inner tube with a valve of 60 mm. Of course both Continental inner tubes fit perfectly. 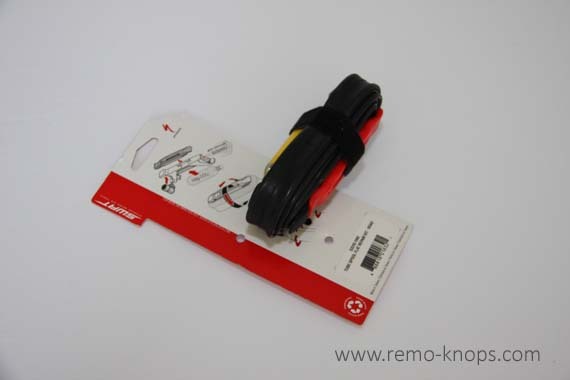 The Specialized Tube Spool Flat Repair Kit even fits inner tubes with a valve-length of 80 mm. Although I ride with a Scicon Elan 210 Carbonium saddle bag (that includes all necessary repair parts, like the Tacx Mini Tyre levers T4885) I have the Specialized Tube Spool Flat Repair Kit in my “rain-bag”. It simply keeps my rain-bag organized and I can change two inner tubes in the worst case scenario. If you don’t ride with a saddle bag, than the Specialized Tube Spool Flat Repair Kit is even more useful. You have a CO2 pump, tire lever and spare inner tube in a single package that has just the the size of a rolled inner tube. 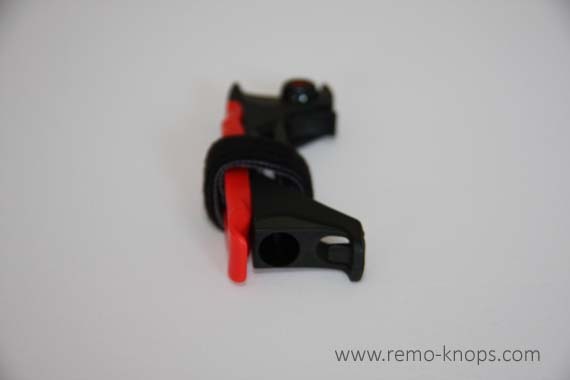 The design of Specialized Tube Spool Flat Repair Kit is well thought-out and if you stash the repair parts in the back pocket of your cycling jersey, than the Tub Spool is a must have item for you. Hey!, I found this information for you: "Specialized Tube Spool Flat Repair Kit". Here is the website link: https://www.remo-knops.com/5283/specialized-tube-spool/. Thank you.